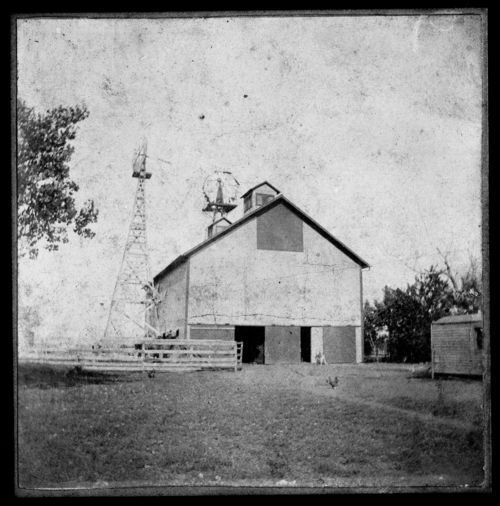 A view of the combination barn and grain elevator built in 1897 on the Rood farm near East Branch Township in Marion County, Kansas. The Rood family (George H. Rood in partnership with his wife, Helen, and son, Ashley) operated a successful farming, livestock, and feed business in Marion County. The barn, which featured modern and innovative mechanized and gasoline-powered equipment when built in 1897, was demolished in 1980.